I broke the surface and gulped in air, running my hands over my face to push the water away. A raindrop splattered on my cheek. He did not rise. Seven more raindrops in quick succession splattered against my skin. And still, he did not rise. The heavens opened and rain fell like a sheet, blanketing me, cutting me off from the rest of the world. I thought it was the end of everything. Brothers, Ruben and Judah Mitchell, used to be close, but that was before they met Cara Armistead. Once she moved in next door, the brothers grew further and further apart until the tension between them led to an event which left one dead and the other branded by the aftermath. One year later, after the death of her baby brother destroyed her family, Lennon Donnelly has moved back to her home town of Puruwai. While visiting the cemetery, she finds a boy sitting on a gravestone, a boy with secrets in his past, but someone who finally sees her. Accused by the town as a killer, he reaches out to Lennon, but as their relationship deepens, the events of the year before present themselves in a way no one could have imagined. 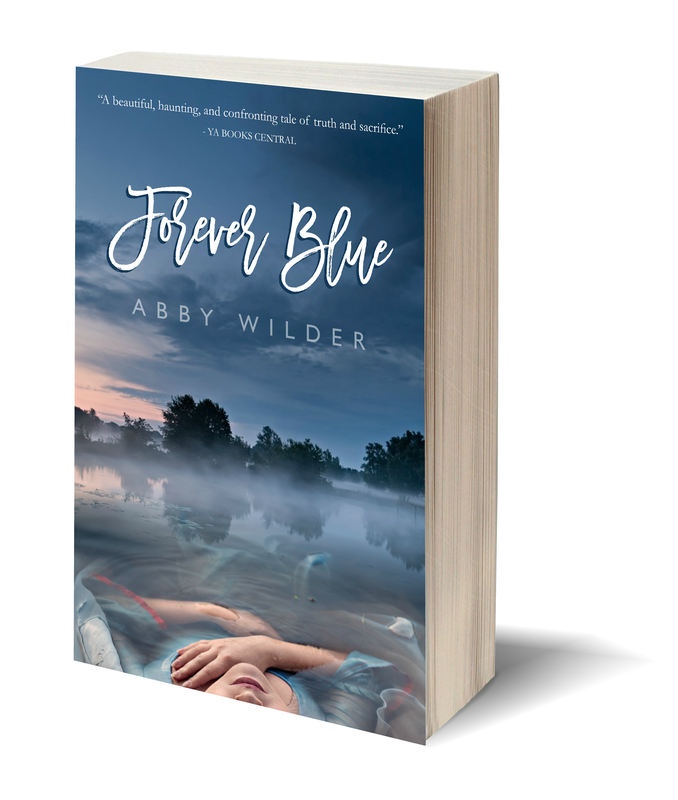 In this compelling romantic mystery, Forever Blue tells of the intertwining relationships of Lennon, Ruben, Judah and Cara. Spanning over two years, Abby Wilder creates a story of intrigue and suspicion that will haunt you long after you turn the final page. What people are saying about Forever Blue . . .